Last year's Mile Finish. Lilly Saniel-banrey of Hilliard Davidson won in 4:59.21. Saniel-banrey graduated, but expect Centerville's Lainey Studebaker, 2nd, and Emma Bryant of Vandalia-Butler, 3rd. to be back. The Rod Russel Mason Invitational, May 6th, at Mason HS, will once again feature both Boy's and Girl's Dream Miles. 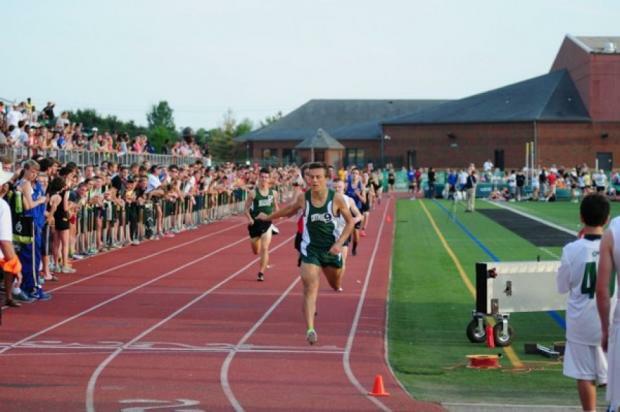 For the past two years, the meet has gone back to the standard Mile instead of the 1,600. 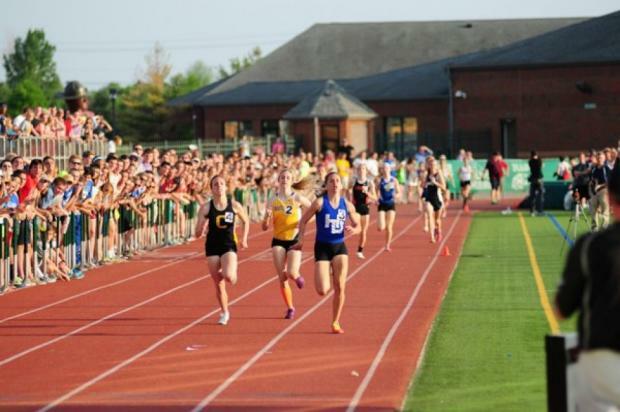 The goal is to premier some of Ohio's distance runners in what used to be the standard - the Mile. A mile is 1609.34 meters. To race the distance on a standard outdoor track, athletes run four laps plus 10 meters, which pushes the starting line about 30 feet back from the finish line. In Ohio and elsewhere, it's more common to race an even 1600-four clean laps around the track-or, in competitions outside the United States, 1500, which has been dubbed "the metric mile" despite being short of the real thing. Dustin Horter - Lakota East.